Scott is one of the more unpopular boys at South Park Elementary School. He has a lisp and diabetes, and is often ridiculed by Cartman and various other kids in South Park. Scott, while being a punching bag for the rest of the boys in South Park, is picked on in a more passive than Butters. He is often ignored and his problems are used as a means for self-promotion by others when brought into light. He doesn't seem to have a good relationship with his parents, comparing a kiss from Sally Darson to almost like "if someone cared about" him, and remarking that his father had suggested to him that he would not even be capable of quitting social media. The neglect can put Scott in very ‘needy’ positions and there was a point where he required constant counseling from Mr. Mackey regarding his choice to quit Twitter. On one occasion, Butters even bullied him after getting fed up with how he constantly complained about his health conditions. 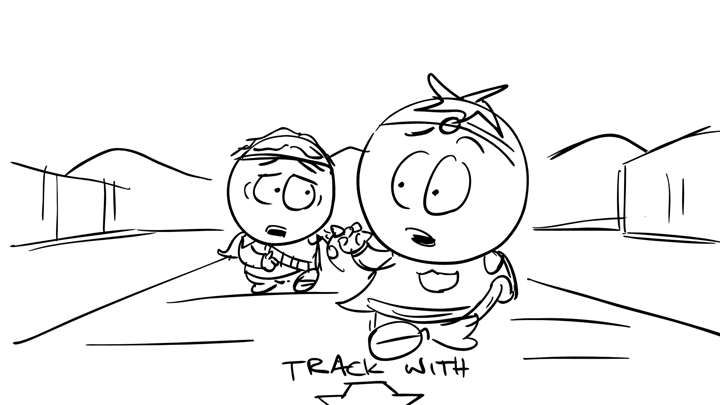 Although they've had their share of bad moments (as shown in Going Native), Scott and Butters seem to generally get along well and have formed some type of friendship. While Scott is friendly with many of his classmates, none of them seem to like him too much. Scott has relatively few alter-egos, but as Captain Diabetes, is a well-known figure in the town of South Park, known for his investigative skill, and his special diabetic powers. Ranger Scott Malkinson fills a variety of roles at the Kingdom of Kupa Keep as assigned by the Grand Wizard King. He is seen on the front cover of GameInformer magazine's coverage of South Park: The Stick of Truth. Despite how Cartman treats Scott on the show, Scott joins sides with Cartman's human faction of the Kingdom of Kupa Keep. Scott quickly befriends Douchebag. After Clyde is banished by Cartman, he assumes the role of Kupa Keep's shopkeeper. Scott is later used for practice when Douchebag is trained to use the Cup-A-Spell fart. Scott will play a prominent role in the sequel as Captain Diabetes (see above) and early levels of the game will include the player acting as Diabetes' sidekick. 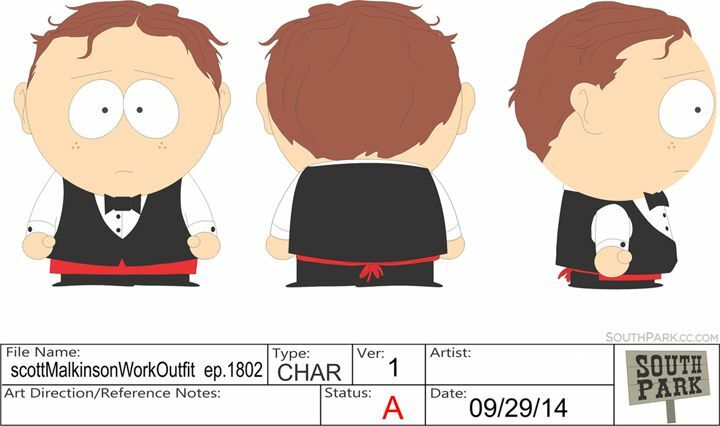 Scott made his official South Park debut in "Elementary School Musical" as a brand-new character, but in the HD version of "The Jeffersons", he was retroactively added to the line for cotton candy. This is a bit of an easter egg, as Scott's diabetes would likely prevent him from eating cotton candy.